I mentioned in the sermon that there are 3 keys to developing the habit of Bible reading: a time, a place and a plan. I can’t help you with the first two, but I can with the third! So here are a variety of reading plans for you to consider. They range in length from a few weeks to a year. They range in the time it will take to complete the day’s reading, starting at just a few minute each day. No one is better than the other. The best one is the one that works for you. I hope one of these will help you get started! The 21 Day Bible Challenge – Reasearch shows it takes 21 days to form a habit. So here is 21 day plan through the book of John to get started. Link to PDF is here. The Proverb-a-Day Plan – Read the chapter of the book of Proverbs that corresponds to the day of the month. For instance, today is March 17th, so you would read Proverbs 17. A 31 Day Encounter With Jesus – This is another excellent reading plan to start out with. In just a few minutes a day for a month, you will be stronger in you faith and knowledge of our Saviour Jesus. Link to PDF is here. 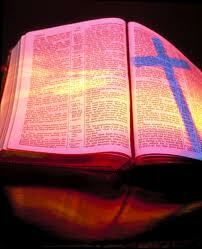 The Bible in 90 Days -This is a challenge several in our church have already taken. It is a short term plan, but with longer readings each day that will have you read through the entire Bible in 3 months. Link to PDF is here. Website with more info on the challenge is here. The 5-5-5 Reading Plan – Read through the New Testament in a year, reading Monday to Friday. Weekends are set aside for reflection and other reading. Especially beneficial if you’re new to a daily discipline of Bible reading. Link to PDF is here. 52 Week Bible Reading Plan – Read through the Bible in a year, with each day of the week dedicated to a different type of Bible book: Epistles, The Law, History, Psalms, Poetry, Prophecy, and Gospels. Link to PDF is here. The Chronological Bible Reading Plan – This plan takes you through the Bible in the order the history happened. For example, you’ll read the historical account of David, then read the Psalms that relate to those events in his life. Link to PDF is here. The Discipleship Journal Bible Reading Plan – Four daily readings beginning in Genesis, Psalms, Matthew and Acts. Link to PDF is here. ESV Daily Bible Reading Plan – Four daily readings taken from four lists: Psalms and Wisdom Literature, Pentateuch and History of Israel, Chronicles and Prophets, and Gospels and Epistles. Link to PDF is here. A Bible Reading Chart – For those who want to just read at their own pace, here’s a chart that lets you keep track of the chapters you have read. Link to PDF is here.